Lyco Mfg. has 35 years experience making Washers, Peelers and Scrubbers for vegetables such as potatoes, beets, carrots, onions, cucumbers, pickles and apples. Lyco’s first machine was The War Horse, with hydraulic drives which had roll speeds between 3 and 400 RPM. Next, we developed the Raging Bull, with the first all-electric drives and roll speeds of 800-1,000 PM, doing the work of several smaller machines. Later, we built electric drive machines running slower speeds called Bull Jr. We have sold over 350 of these machines to canners, potato chip processors and french fry operations. Many machines made in the early 1980s are still in operation. The key to longevity and low maintenance in all of our models is our uniquely simple, rugged and well-designed drive trains for each roll. Fewer replacement parts THAN ANY COMPETITOR means greater equipment reliability and lower parts usage. 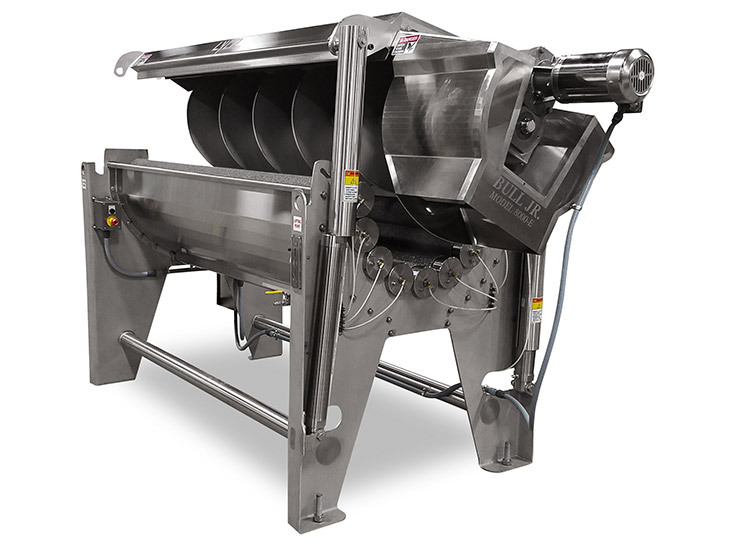 Our Raging Bull and Bull Jr. electric designs have two-way flip top covers which raise the auger out of the machine for ease of cleaning, maintenance and roll change-out. The entire line of Lyco Scrubbers, Peelers and Washers delivers the industry’s highest recovery with full-length augers. Our industry experience is second to none, with hundreds of units in operation since the 1980s. We focus on low-maintenance drive trains as a technical and financial advantage for our customers. The War Horse is perfect for scrubbing and peeling potatoes (white or sweet), beets, carrots or onions. It also washes apples and pickles. The War Horse can perform after-steam peeling or stand-alone raw peeling. Trust the War Horse for economical, yet reliable performance, whether processing seasonal crops or pulling products year-round from climate-controlled storage. In addition to all the features of the War Horse the Raging Bull Jr. offers “whisper-quiet” sanitary scrubbing and peeling with a reliable electric drive train. The Raging Bull Jr. can perform after-steam peeling or stand-alone raw peeling. Trust Lyco scrubbers, washers and peelers for reliable, high-throughput performance for seasonal crops or product pulled year-round from climate-controlled storage. The entire line of Lyco Scrubbers, Peelers and Washers delivers the industry’s highest recovery with full-length augers. Our industry experience is second to none, with hundreds of units in operation since the 1980s. We focus on low-maintenance drive trains. Having the fewest number of parts possible is a technical and financial advantage for our customers. 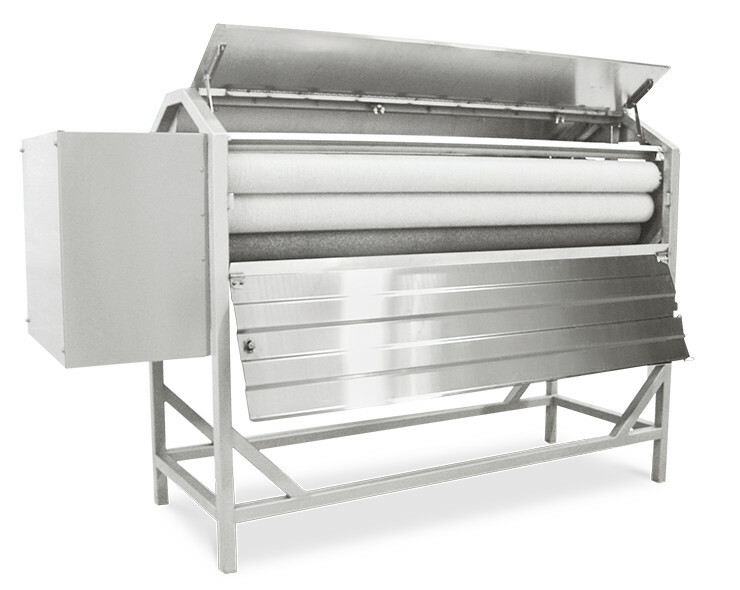 The Raging Bull is perfect for processing high-volumes of dry peel applications. 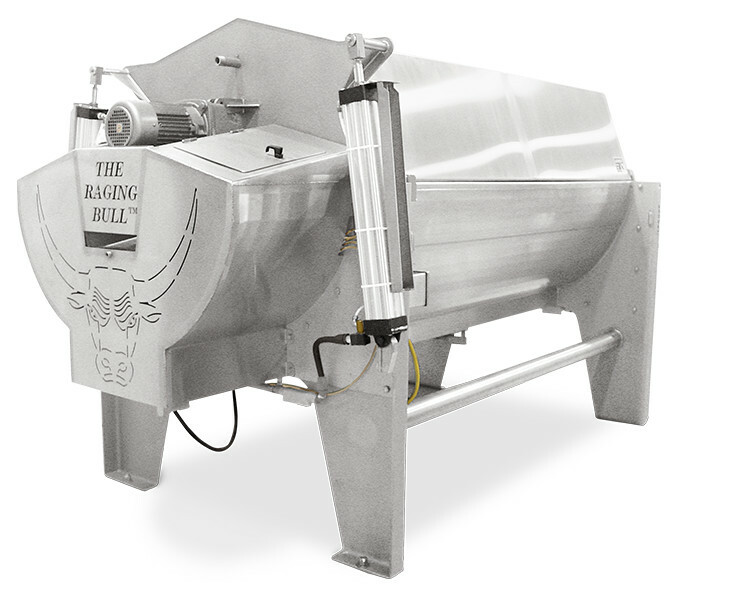 The Raging Bull can perform after-steam peeling or stand-alone raw peeling. Trust the Raging Bull for reliable, high-throughput performance from whether processing seasonal crops or pulling products year-round from climate-controlled storage.